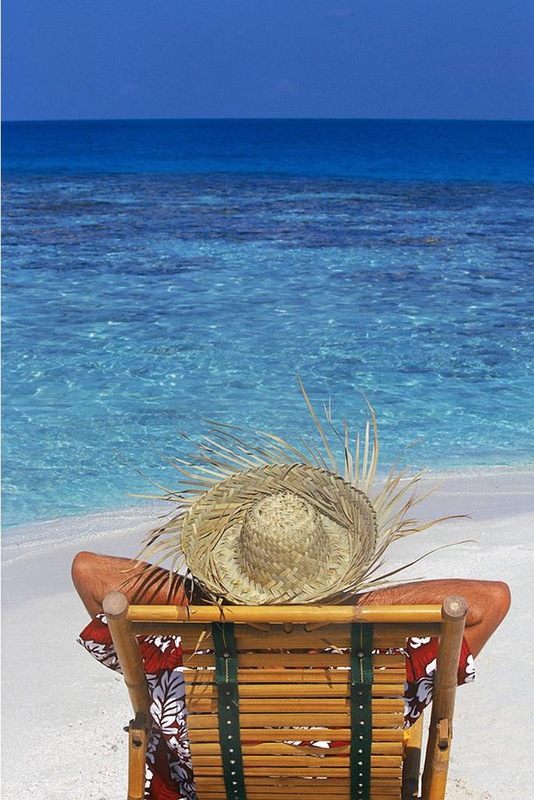 It's never too early to plan for your next beach vacation! Indian Rocks Beach offers miles of white sandy beaches, sparkling clear waters, and relaxing warm sea-salt air. When planning your 2013 Gulf beach vacation, we thought it would be helpful to know a little bit more about vacationing in the towns of Indian Rocks Beach and Indian Shores. As their names suggest, Indian Rocks Beach and Indian Shores hint at a history of Indians, among other things. The legend of the Indian Chief, the healing mineral spring, and the place where travertine rocks line the shoreline can be found here. Early homesteading on the island is noted in the early 1800s with other settlements springing up throughout the mid to late 1800s. As time went on and more people found out about this island paradise, Indian Rocks Beach and Indian Shores became increasingly popular vacation and residential destinations. In 1905, the railroad ran a spur line from the mainland to the beach. Ferryboats transported pedestrians to the island. There was a barge to carry horses, buggies, and even a few automobiles to the summer resort too. In 1916 a wooden bridge was built to replace the spur line. The community continued to expand and experienced a growth and building boom after World War II. A great place to visit to experience Indian Rocks Beach as it was and to learn more of its history is the Indian Rocks Historical Museum. This historic beach cottage is located in Chic-a-Si Park at the heart of Indian Rocks Beach. Enjoy displays and exhibits which take you on a journey from prehistoric Native American Times, through the days of early pioneer settlements, and continuing through to the modern era. Museum hours vary so be sure to check out their website for hours of operation. Admission is free, but donations are always welcome. Today, residents and visitors enjoy the original character of this Gulf beach destination. Warm welcomes and friendly smiles are ready to greet you and introduce you to a little piece of paradise. For further information on the history of Indian Rocks Beach and Indian Shores, visit their respective websites. Indian Rocks Beach boasts 27 public beach accesses/parks, so you'll always have plenty of options when it comes to spending your days on the beautiful coastal shores. This family-friendly vacation destination offers recreational facilities in many of its numerous parks. Facilities include tennis courts, basketball courts, a ball field, a leash-free pet park, and a state-of-the-art skateboard park. Make time during your stay to check out the recreational programs and events sponsored by Indian Rocks Beach. 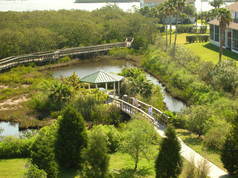 Another highlight of the area, is the Indian Rocks Beach Nature Preserve located on 903 Gulf Boulevard. This 9.3-acre preserve features a wildlife habitat, native vegetation, wetlands, educational boardwalk, as well as interactive, passive and natural park areas. Other perks of the preserve include comfort areas, cultural resources, a fishing pier, a nature center, an observation pier, paved hiking and walking trails, a pavilion, picnic areas, water access, a dog park, and so much more. Indian Shores shares the family-centered environment by also offering a nice variety of parks, recreational facilities, and playgrounds. The community of Indian Shores prides itself on offering recreational programs and opportunities for all ages and interests. Whether it's ballroom dancing, Zumba, oil painting, yoga, Tai Chi, bridge, or senior activities, there are many classes to choose from and the prices are very reasonable. Be sure to check out the recreational offerings during your stay. 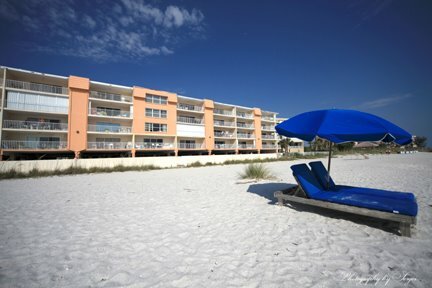 Indian Rocks Beach and Indian Shores offer a nice variety of vacation rentals in the Gulf Coast area. Choose from cozy beach cottages to luxury condos, and everything in between. These accommodations offer a wide range of amenities to make your Gulf beach vacation complete.We can help you with short-term rental, long-term rentals, and more permanent options like relocation or retirement. We hope to see you in 2013 on our beaches and in our towns. Come see us this year and get to know us better. Happy vacation planning! Are you planning a 2013 vacation to Indian Rocks Beach or Indian Shores? Please tell us about it in our comment section. When will you be here? What will you do? We always love hearing from our readers!